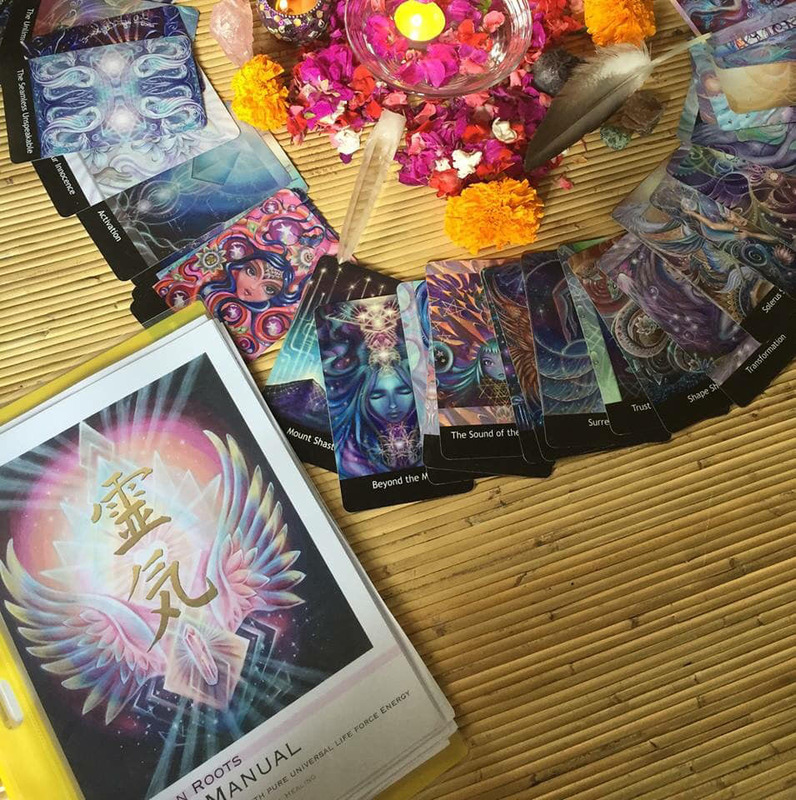 After a 12 year Journey with Reiki including writing and illustrating a oracle, including touring an art workshop that is inspired by its foundations, I have been embracing the Master level stage of this energetic overflow and am now teaching classes as I travel, offering two day workshops and attunements for healing your selves and others. I added deep guided journeys for receiving your own unique power symbol enhancing the attunement process. 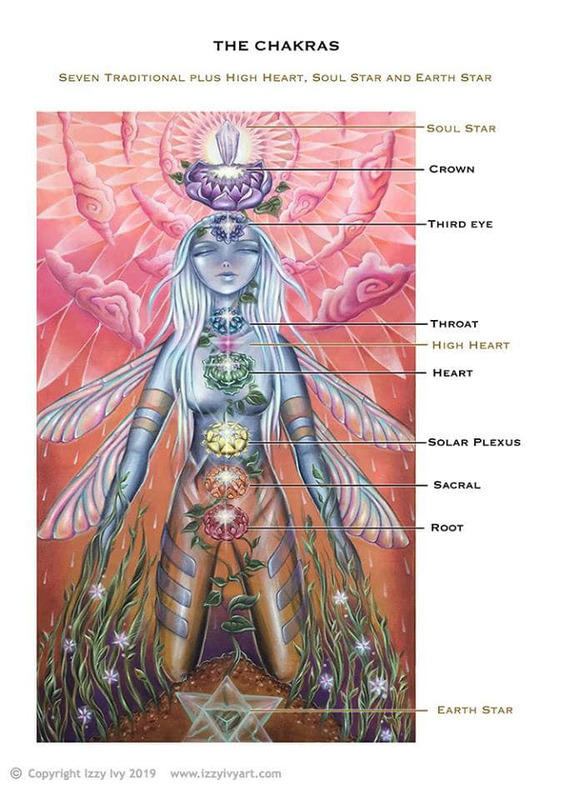 It honours the shadow and it’s transmutation for greater light capacity. We incorporate the ‘White Fire’ clearing tool, with emphasis on the awareness of keeping your self energetically ‘Clear’ over fear-based ‘protection. It also inspires us to attune to working with the embodied version of life-force energy in its purest state – Mother Nature. Along with incorporating the four elements in to further balance the energy centres based on their powerful characteristics. It is called Lemurian Roots as I have been deeply inspired by the Lemurian way of life, Ive been receiving downloads about these beings – the ancestors of our ancestors – for many years now and it felt important to honour this lineage as they have taught me so much. (Look out for my Oracle deck and book “Beyond Lemuria” soon). What is Reiki and how can it benefit me and others ? We all have natural healing abilities but when we can tune directly in to the the incredible life force energy that is all around us we have exponentially more to share. By connecting into this energy in its purest simplest form and allowing ourselves to be tubes for focusing it with heart, intention and presence, we may share and experience deep inner shifts back to wholeness. Reiki simply means ‘Life force energy’ and although it has been anchored as a modality from Japan, its roots go back way beyond. From the dawning of time our ancestors have used this form of ancient healing by tuning in to being conduits of the Devine and focusing this vision of wholeness for healing our energy body, which in turn effects our physical, mental and emotional and is the core to all dis-ease. Using the navigation system of the chakras we are able to move blockages and clear the aura of anything that is holding us back or making us feel tired or lack-lustre. As we go through our lives it is natural that we may experience trauma in a range of intensities, often these stay in our energy system, over time moving in to the the physical and making us sick. Just as we look after our car our home and our bodies, this is an excellent way to keep our energy in optimum functionality, Reiki is like a doing a spring clean for the spirit, though it can also go much deeper than this. During your journey with reiki it is likely your intuition and psychic abilities will increase, also as you let go of elements that are of a lower vibration, your outer reality will start to shift to become in alignment with the the life your soul is calling you to lead. I have been practicing Reiki for over 12 years and although I have also worked with other modalities, I have always returned to reiki as it is such a simple and effective delivery system which allows a flexibility in adding our own creativity and intuitive approach. It is wonderful to experience a reiki session however I feel it is even more profound to be able to heal your self as and when you need to, it is also a beautiful offering to gift to others especially loved ones during times of need. To be able to offer this gift without anything but your presence in any circumstance can go a long way. In this class you will learn about the energy field and the chakra system, the history of reiki and how to give a session to your self and others. You will learn the hand positions, ways to set up the space for optimum experience and also tips for protection, intention, clearing and ways to enhance your psychic sight. You will receive a guide book, a certification for Reiki level one and of course the attunements. Every teacher has a different flavour of reiki and I have generated an array of tips during my sacred journey with it. The reiki I work with has its roots in Lemuria and I also like to tune in to the energies of nature and mother earth for a two-way awareness and connection, it also honours the shadow and brings in grounded elements. 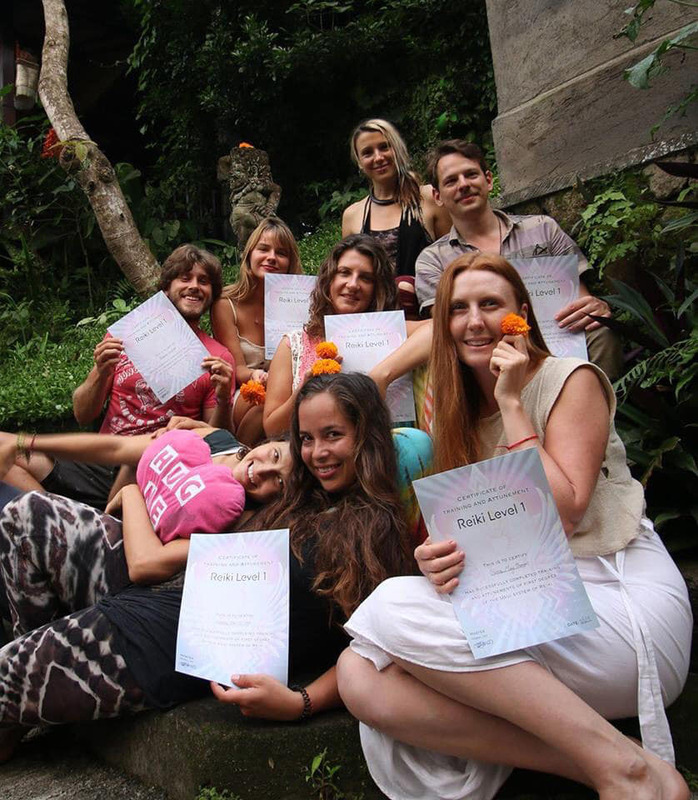 ‘Reiki is a term that is more well known and it also allows you to access certification for continuing your journey in in the linear fashion that the current paradigm honours. However you can apply this to all moments of your life for maximum vitality and healing. You can use it to manage stress and and anxiety, you can reiki your food your plants and your garden, you can even shine it out of your eyes as you smile your light out in to the world.